I know some of you dread to hear these words, but it is time start our Christmas shopping! But it doesn’t have to be a stressful time! Come stay in Gatlinburg for a few days and do your shopping against the backdrop of these gorgeous mountains! Enjoy the sights while you’re here, and come back each evening to a cosy log cabin with a fireplace! Believe me, you can get your shopping done all in one trip! There are more places to shop here than I could possibly put on one blog, but here are a few of our favorites! Baskins Square Mall Gatlinburg– Baskins Square Mall is located conveniently between traffic lights #6 and #7 in downtown Gatlinburg! This mall includes about 14 shops from Claire’s, to Mountain Woodcarvers, to the Mountain Edge Grill! Come on down! Reagan Terrace Mall– Reagan Terrace Mall is located conveniently between traffic lights #6 and #7 in downtown Gatlinburg! This mall includes about 13 shops from Medieval Blades, to Old Timey Photos by Renee, to Fudge Shoppe of the Smokies! Don’t miss out! It’s still winter time, but Spring Break will be here before you know it. I know that many of you think of the beach for Spring Break, but I want to challenge you to consider a mountain trip this year. 1. The Strip. We know that wandering “the Strip,” wherever it may be, is one of the biggest attractions to heading to the beach during Spring Break. The Gatlinburg area offers “The Strip” in more than one location! You can wander the Strip in Downtown Gatlinburg to take in cool attractions like the Ripley’s Believe It or Not Museum or stop for a corn dog at Fanny Farkles Arcade. Or, you can head to Pigeon Forge and find the perfect Smoky Mountain T-shirt, stuffed bear or souvenir for the friend or family member that couldn’t make the trip. If neither of those options suit you, give the Smoky Mountain Arts & Crafts District a try. 2. Go Karts. There are plenty of go kart tracks to choose from in Pigeon Forge, but we are particularly fond of The Track. Race the Wild Woody track–their three-story spiraling wooden track, or take a spin on the classic track with overpasses. With single and double-seated karts, everyone in the family can get in and go! The Kiddie and Rookie Karts are great for youngsters starting out. You only have to be 4 years old to drive! 3. Bungee Jumping. Are you or your kids looking for an unforgettable thrill on this year’s Spring Break? While you are at The Track enjoying a ride on the Wild Woody go kart track, make sure you put on your brave face and take the 65-foot bungee jump plunge! They guarantee it is the fastest ride in town! 4. Lazer Tag. Here’s a fun idea for the whole family. At Lazerport Fun Center, they offer the largest laser tag arena in the Great Smoky Mountains area. There are two arenas at over 7,000 square feet that offer the best, most exhilarating and heart pounding fun and excitement that Pigeon Forge has to offer! Each game lasts for a period of 15 minutes, and they run back to back games starting every 20 minutes! Whether you choose to play one, two, three or unlimited games, take the challenge today – test your skills against your friends and family alike! 5. Flyaway Indoor Skydiving. This vertical wind tunnel that allows you to experience the freedom of human flight is located at traffic light #5 in Pigeon Forge. As a flyer, participants attend a 20-minute training class, receive a suit, helmet & other safety equipment. Following a short review of the basics, a group of 5 flyers enters the wind tunnel with their instructor. Almost anyone can fly as long as you weigh at least 40 lbs. Watch this video for a preview of kids in flight. Link to pricing & coupons. 6. Roller Skating. When is the last time you went roller skating? If the idea conjures awkward images of retro fashions and braces, maybe it is time to try again. Spin City USA, the newest indoor Pigeon Forge attraction for family fun, is a state-of-the-art roller skating rink located in downtown Pigeon Forge. Spin City USA offers theme nights including retro skate and live entertainment by their own DJ for affordable fun, with holiday special events held throughout the year. When looking for fun things to do inside on a rainy day, try Spin City Roller Rink. I have a soft spot for a few of the Tanger Stores like Calvin Klein and Jones New York, but there is a little something for everyone from the kids (OshKosh B’gosh) to the teens (Aeropostale and Rue 21) to the man of the family (Brooks Brothers and Nautica). There is even a great selection of lunch and dinner options. 8. Mini Golf. Hillbilly Golf is one of dozens of miniature golf options in the Gatlinburg area. Hillbilly Golf is the world’s most unusual miniature golf course. Ride the Incline 300 feet straight up to the mountain top above the city. Two challenging 18-hole courses await you. Both are riddled with mountaineer hazards from outhouses to stills, rocky walls and lush native plants. It’s great fun and excitement for the whole family. A truly unique adventure you won’t forget. 9. Pancake Houses. Pancake houses are to the Smoky Mountains what seafood shacks are to the the beach. You can find pancake houses everywhere, and the choices are endless. My favorite…the Pancake Pantry. Since 1960 when the Pancake Pantry became Tennessee’s first pancake house, visitors to Gatlinburg have made dining with them a tradition. What keeps them coming back? It’s the real butter, the honest-to-goodness fresh whipped cream and everything made from scratch. Maybe you’ll select the Austrian Apple-Walnut Pancakes covered with a rich apple cider compote made with melted butter, black walnuts, apples and sweet spices and then topped with powdered sugar and real whipped cream. Want a sandwich instead? Try a Polish Aristocrat, Polynesian Delight or British Dipper among other distinctive choices. 10. Rent a Cabin. What could be better than the room to stretch out, a gameroom, indoor whirlpool tub, outdoor hot tub and the cool breeze of the Great Smoky Mountians? How about getting it all in one place. Rent a family vacation cabin like At Trail’s End and enjoy the convenience of a home away from home while relaxing in comfort and style. The kids will love the gameroom–you’ll love having them hidden away IN the gameroom. Give it a try, but beware, you’ll never want to go back to staying in a hotel room again. Holiday Shopping In The Smokies! 1. Food, glorious food. Let’s face it…most of us equate holidays with a chance to eat all the traditional family favorites from turkey and ham to sweet potatoes and pumpkin pie. Don’t be afraid to try it away from home. The local Food City offers holiday packages that only require that you place the order and pick out the fixings. You can leave the rest to the professionals. However, if you just can’t imagine not cooking this holiday season, renting a cabin could be your solution. Cabins usually come with fully-equipped kitchens, but make sure you bring specialty pans and cooking utensils with you. And for those of you that just want to show up to the meal, there are plenty of restaurants open every holiday. 2. Shopping. Are you afraid to miss out on the post holiday sales and specials? Never fear. 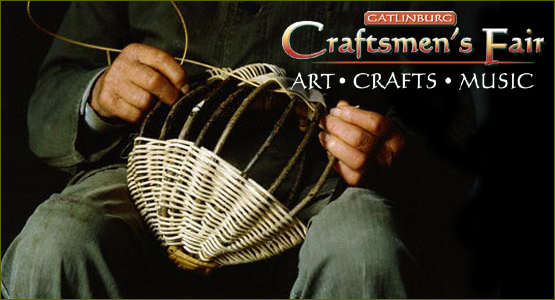 Gatlinburg offers the ultimate shopping experience with everything from local artisan crafts to brand-name outlet stores. The deals abound and many stores are clustered for your shopping convenience. Read more about Shopping in the Smokies. 3. Decorating. Don’t think that having a destination holiday experience means you have to forgo the holiday decorations. Many rental cabins come fully-decorated for the holidays, and if you are looking to bring your own decorations…just ask. Gatlinburg is known for customer service and hospitality. ERA In The Smokies thinks of visitors as their guests and always try to accommodate requests. 4. A White Christmas. Do you live somewhere that never sees snow? Come on over to the Great Smoky Mountains. The Smokies get a small amount of snow each year. Even though it rarely snows at Christmas, the ski slopes at Ober Gatlinburg are often open by mid-December even if it requires man-made snow. Ober Gatlinburg now offers snow tubing, too! 5. Holidays on Ice. For many people, winter holidays conjure images of ice skating, woolen mittens and hot chocolate. Ice skating is a popular year ’round activity at Ober Gatlinburg ski resort. Don’t worry about driving up the mountain in icy weather; the aerial tram offers a breath-taking view and eliminates the need to drive. 6. Winter Adventure. There are lots of activities that shut down in the Mountains during the winter due to the temperature or precipitation; however, there are just as many that are great fun regardless of the weather. Take a wild and wacky and snowy roll inside an inflatable Zorb ball or take an off-road Hummer tour with the whole family! And Walden Creek Stables offers horseback riding even in December! 7. Twinkling Lights. Does your home town offer a beautiful lights display? So does ours. Gatlinburg loves holiday lights so much that they are up from the first week in November to mid-February each year. From Dollywood to Downtown, whimsical LED light displays are a beautiful reminder of the holiday season and a great reminder of Gatlinburg’s vow to go green. Read more about Holiday Lights locations. 8. Fa La La La La. Most of the Smoky Mountain musical shows that your family loves have special holiday editions. From the always-funny Sweet Fanny Adams and to the brand new Smoky Mountain Opry Christmas Spectacular, holiday music abounds. You won’t miss caroling either. Each year the City of Gatlinburg sponsors roving minstrels, carolers and story tellers. The Village even has photo opportunities with old Kris Kringle himself! 9. Buy an Ornament. Did you buy an tree ornament for your baby’s first Christmas? First year in school? Why stop there? Gatlinburg offers a varied assortment of shops dedicated to just holiday decorations. The Christmas Tree offers a quaint shopping experience in the heart of downtown Gatlinburg where you can buy your Department 54 favorites or a hand-painted one-of-a-kind. Christmas Eve Gift is a world of Christmas all year long and is located in the heart of the Gatlinburg Arts & Crafts Community. In addition, many of the Downtown Parkway’s shops carry souvenir Christmas ornaments as well as other ornaments and souvenirs for each and every holiday. Make collecting ornaments part of your family’s tradition. 10. 12 Days of Christmas. This is one of my family traditions. Pigeon Forge puts up a light display featuring the 12 Days of Christmas from the Partridge in a Pear Tree at the Sevierville end to the 12 Drummers Drumming on the Gatlinburg end. Each year, my family piles in the car and sings the song as we pass the individual displays for each day. Of course, traffic lights and placement mean we end up singing v – e – r – y – s – l – o – w – l – y or sometimes very very fast to keep up, but it always ends in laughter. I’ll photograph the 12 Days of Christmas light display this year and feature it in a separate blog post. Don’t miss this light display.